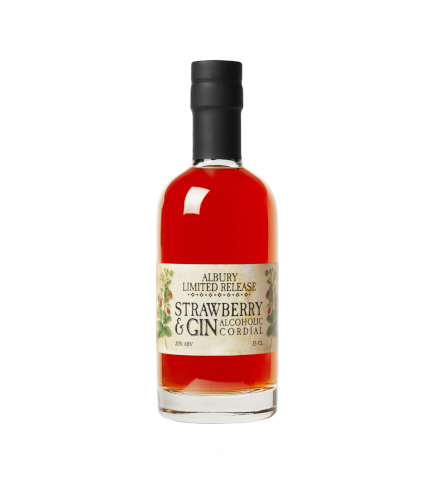 Fresh British strawberries are macerated with an Albury Limited Release Gin base to create a bright and vivid strawberry-flavoured alcoholic cordial. Produced by hand and only available for a limited time. Serving Suggestion: This 30% ABV cordial can be enjoyed over ice, mixed with sparkling wine or just drizzled over ice cream on a summer’s day.